The Stoutland Booster Club will be hosting an Alumni Slow Pitch Softball game on Saturday, June 1, 2019. The fundraiser will be held at the district baseball field starting at 6:00 p.m.. There will be concessions available, door prizes, a 50/50 raffle, and possibly a bounce house for the kids. Alumni wishing to participate can sign up by going to the Stoutland Alumni Slow Pitch Softball Games Facebook page. Take a look at our next years calendar! Check out the calendar for next year! The Stoutland R-II Board of Education met for their regular monthly meeting on March 21, 2019. After reviewing the results of a parent and community survey, the Board acted to adopt a 4-day school week starting with the 2019-2020 school year. This is an exciting time for the Stoutland School District! Student achievement is our number one priority. With the adoption of the 2019-2020 . . .
Keeping you informed about your schools, Tiger News covers a wide range of topics like special projects, stories about students or faculty, and more! To view the entire March 2019 Newsletter, click here . This quarter's feature story covers the possibility of switching to a four-day school week. Our superintendent, Chuck Stockton, shares some thoughts: The Stoutland R-II School District is looking into the possibility of switching to a four-day school week in the future, but no decisions have been made yet. More schools are turning to four-day school weeks . . .
Due to loss of rehearsal time, the drama club variety show has been rescheduled for Tuesday, April 30, 2019 at 7:00 p.m. The show will be held in the elementary gymnasium and the cost is $5.00 per person. 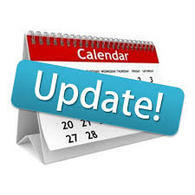 At a special Board of Education meeting on Monday, March 11, 2019, the Board approved action to designate Monday, April 22, 2019 as a snow make-up day in lieu of the the previously designated snow make-up day of Monday, March 25, 2019. 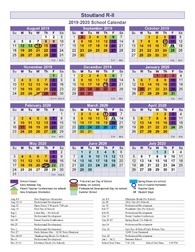 Spring Break will be a full week, beginning Monday, March 25 through Friday, March 29. Monday, April 22, 2019, is now a snow make-up day and will be a full . . .
Showers likely before 1am, then a chance of showers and thunderstorms between 1am and 4am, then a slight chance of showers after 4am. Cloudy, with a steady temperature around 57. Northeast wind around 6 mph becoming light and variable after midnight. Chance of precipitation is 60%. New rainfall amounts of less than a tenth of an inch, except higher amounts possible in thunderstorms. A 50 percent chance of showers. Cloudy, with a high near 68. Southwest wind 5 to 7 mph becoming west in the afternoon. A 40 percent chance of showers, mainly before 1am. Mostly cloudy, with a low around 55. Northwest wind around 5 mph becoming calm in the evening.